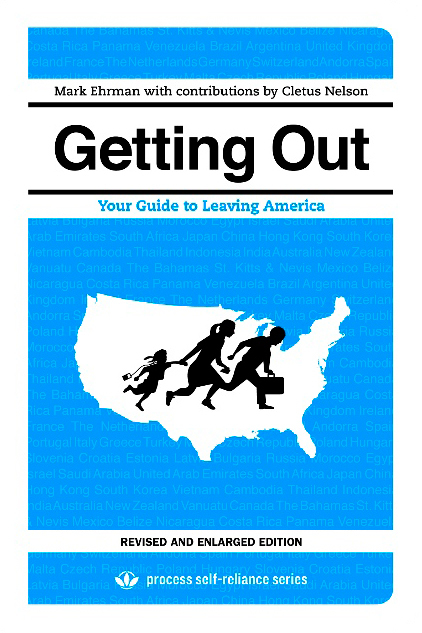 One of the most popular titles in Process’ Self-Reliance series, Getting Out is a smartly designed and easy-to-navigate compendium about your best options for a new homeland, and how to navigate a myriad of hurdles before and after you get there. Here are the rules, resources, and experiences of dozens of expat Americans on every continent, including author Mark Ehrman, who moved from Los Angeles to Berlin after publishing Getting Out. The updated and expanded edition contains new information on taxes, healthcare, food, drink, drugs, security, and suggestions about how to start a business or make a living in foreign lands.